"Today, the company’s value is around $11 billion owing to the recent investments. 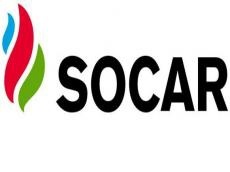 SOCAR Turkey’s share in SOCAR constitutes 35 percent," he said. He noted that the company's market value will increase even further with the implementation of the new petrochemical project. SOCAR is one of the world's 50 largest oil companies aimed at ensuring the energy security of Azerbaijan. SOCAR is the sole producer of petroleum products in Azerbaijan owning over 370 filling stations in Georgia, Ukraine, Romania and Switzerland. SOCAR Turkey Energy continues to boost its economy and industry with strategic investments, moving forward rapidly every year to become Turkey's largest industry group. “Thanks to the project, Turkey’s current deficit will be reduced by $ 5-6 billion. The project will increase our share in the Turkish petrochemical market, while imports of petrochemical products to Turkey will decrease, thereby helping to reduce the current deficit. We are working to achieve this goals in all our projects in Turkey, "said the head of SOCAR Turkey.